Artificial intelligence is getting better and better by the day – after all, that’s the premise of the technology – and it’s performing feats which haven’t been heard of before. From beating professional eSports players at their own game to making reservations at your favorite restaurant, AI is improving at a fast pace, promising a bright future for everyone. AI is also making significant advances in the medical field, with a recent report from AFP revealing that an AI recently beat experienced doctors at diagnosing skin cancer. The AI in question, which was developed by a team of researchers from Germany, the US and France, was taught to distinguish between dangerous skin lesions from benign one by showing it over 100,000 images. The AI’s deep learning convolutional neural network (CNN) was then tested against 58 dermatologists from 17 countries, by showing them images of malignant melanomas and benign moles. Out of the 58 dermatologists who took part in the exercise, over half were at the “expert” level with more than five years of experience, 19 percent of them had two to five years of experience, and the rest were beginners with less than two years of experience. On average, the CNN was able to successfully detect 95 percent of skin cancers, while the dermatologists had an accuracy of 86.6 percent. The CNN also “misdiagnosed fewer benign moles as malignant melanoma” compared to the doctors, which would have prevented unnecessary surgery. 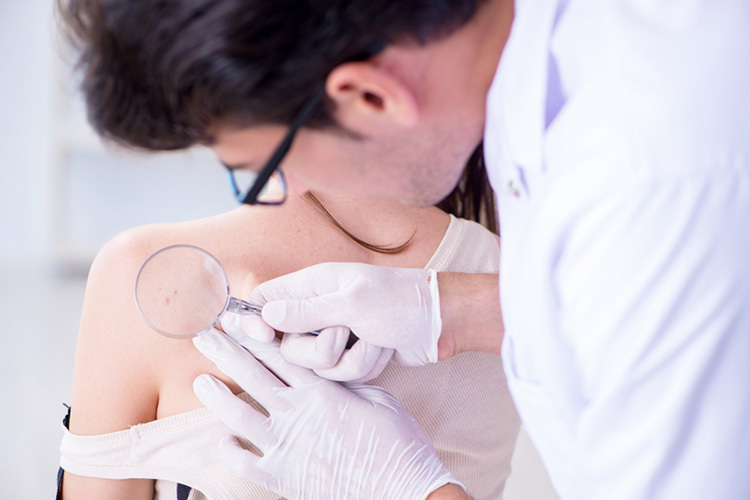 The report further states that the dermatologists performed better when they were given more information about the patients and their skin lesions. While the research team agrees that the AI can’t be used as a definitive test, it might come in handy as an aid, allowing doctors to take a second opinion in cases where they are unsure. It’s also worth noting that melanoma in some parts of the body, including fingers, toes and scalp, is difficult to image and the AI may have trouble identifying it successfully.